Lame title, huh? I couldn’t think of anything else original for this meal. Eggs in purgatory is already taken and potato hash is too boring. 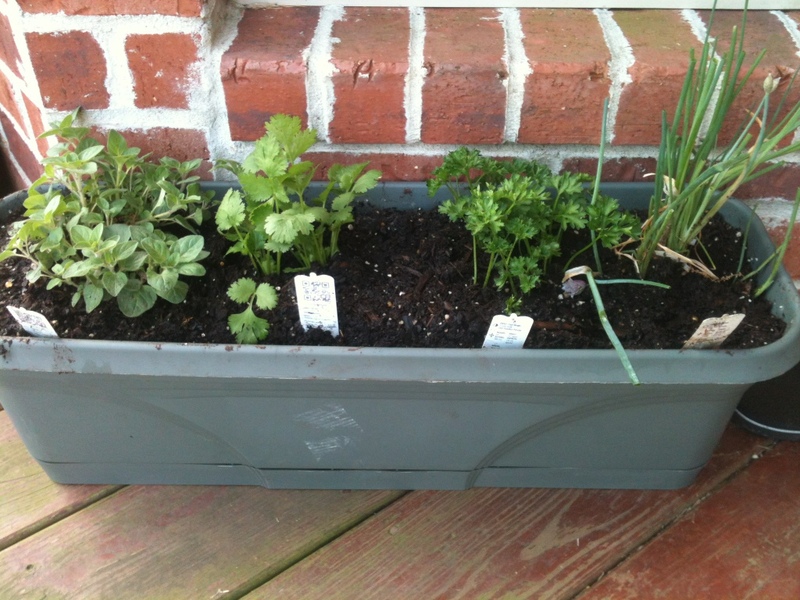 Anyway, I’m super excited because I planted my herbs into their pots last night! 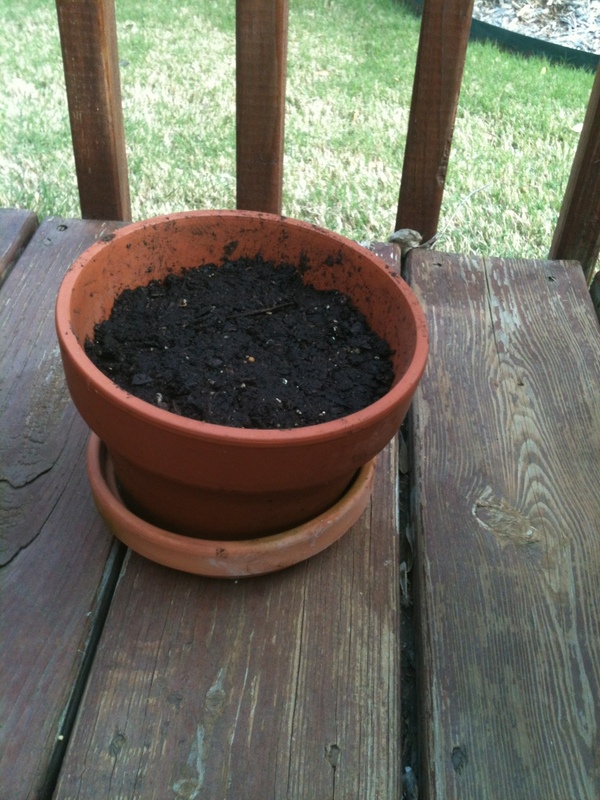 My mom pulled up some of her chives for me and we decided on planting the basil in its own pot. Obviously it looks just like dirt now, but the seeds will grow eventually! I’ll post pictures as it starts to grow. I’m really excited to document the growth of my herbs with you guys! 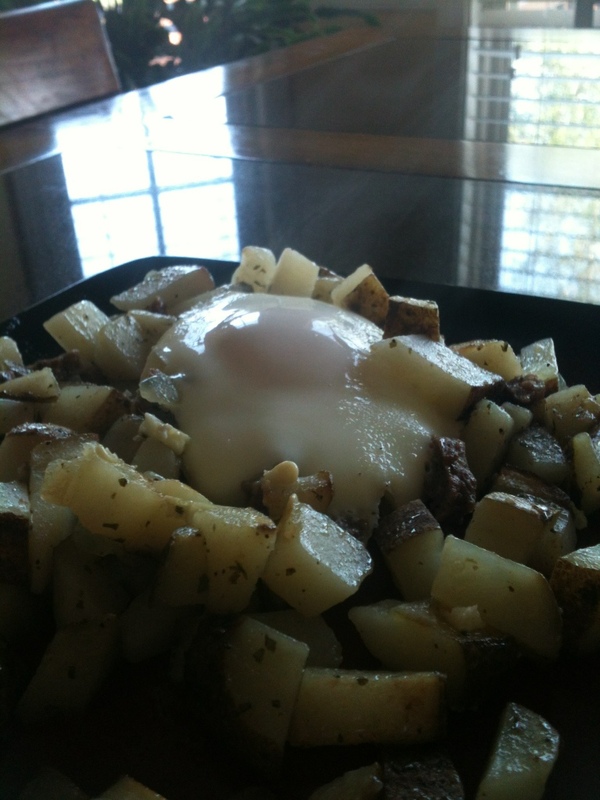 This morning my boyfriend and I were starving and I’ve been seeing a million different posts with the potatoes and eggs in the middle. I have been really wanting to try it, and so we did! We resisted the temptation of McDonald’s breakfast and donuts and ate some yummy breakfast at home. *I can’t wait till I can use my fresh cilantro with this! 1. Heat a pan over medium heat with the EVOO. 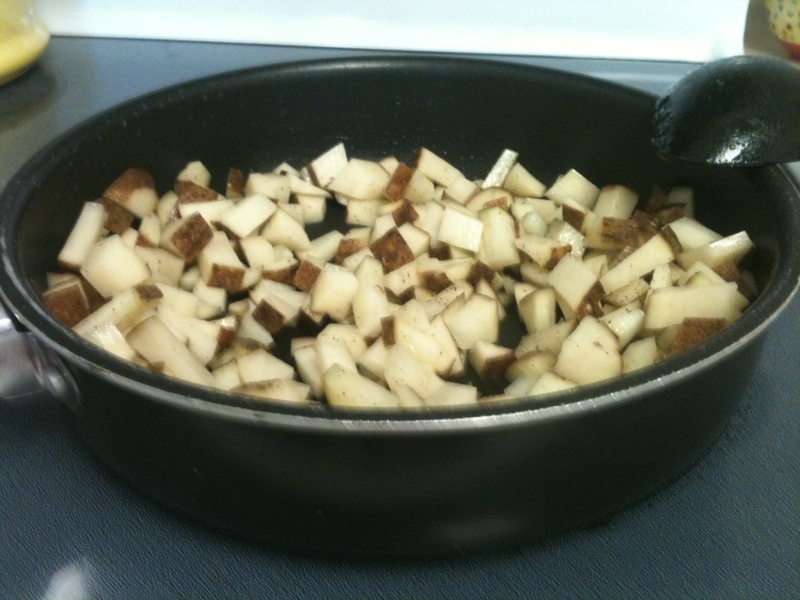 Meanwhile, cut the potatoes into little less than bite size chunks, and add them in. 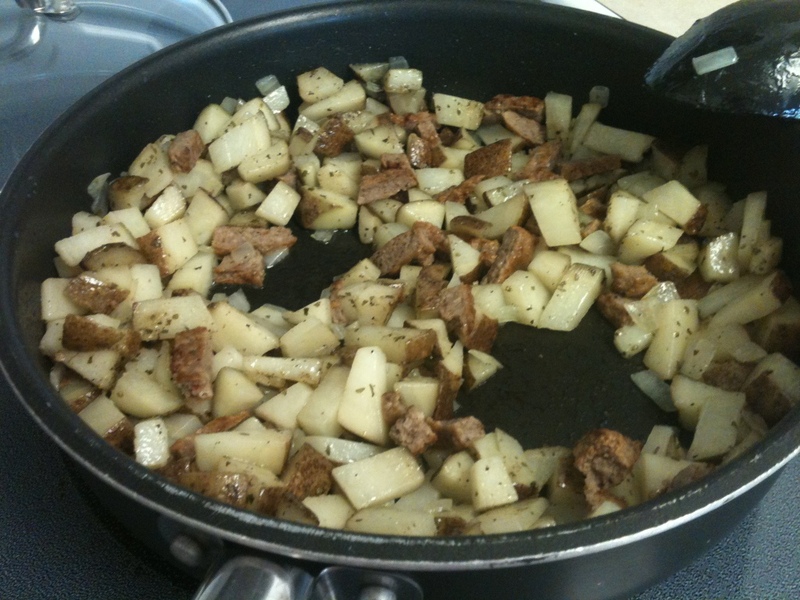 I then just took some sausage patties and cut them up and added them in. It made for a great flavor. (Bacon/turkey bacon would be good as well!) Then cut the onion in small chops and add them in as well. Season with the Nature’s Seasoning, Cilantro, and salt. Let them cook covered for about 10-15 minutes. Stir a lot or they will begin to stick. 3. 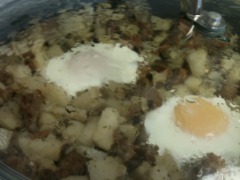 Make a small little hole in the potatoes where you want to put your eggs. 4. Crack the eggs into each little hole you made, and cover and cook until the whites harden. When I made this I let the eggs firm up a little too much, so if you want them not to be runny cook them for about 6 minutes and if you want them to still be runny cook for 3. Next time we are going to make them runny. 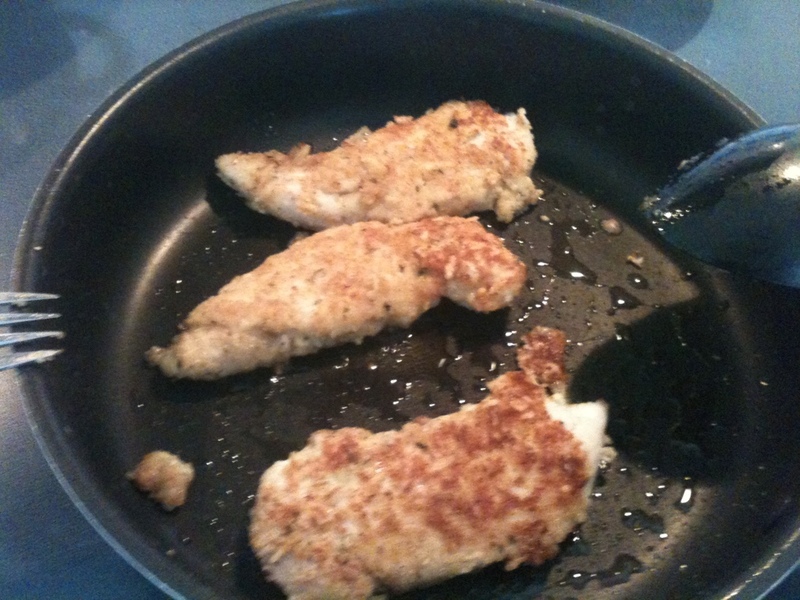 There is something comforting about biting into yummy, crusted chicken. It gives the texture of fried food, but you get the pleasure of knowing that it isn’t lathered in grease and dipped in fat. I needed to cook something quickly yesterday before work (my training for my second job started) and I still wanted to have some fresh vegetables. 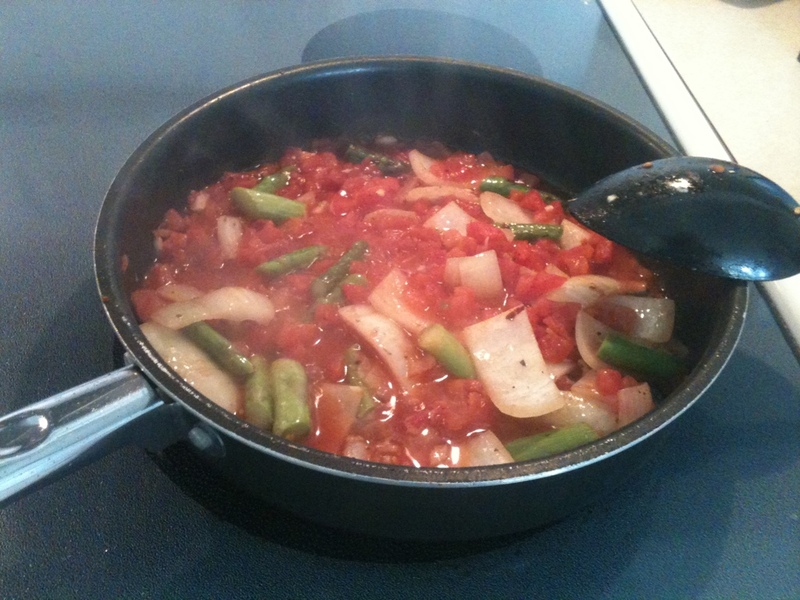 Without anymore explanation, here is the recipe that I created yesterday in a hurry. 2. 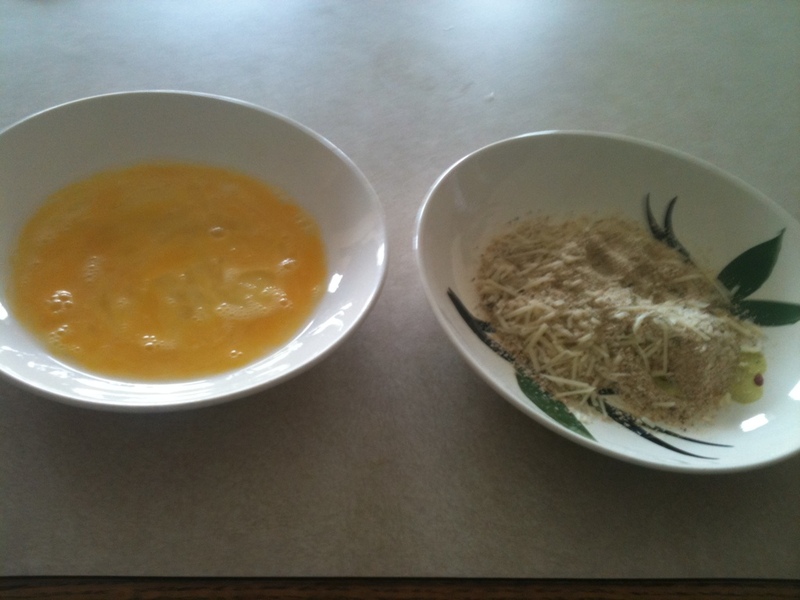 Mix together the breadcrumbs and parmesan. Dip each tenderloin into the beaten egg, and then roll it around in the breadcrumb mixture. 3. Heat EVOO over medium-heat and add in the chicken. You might need to add in some more EVOO as it is cooking, so the crust won’t burn. 4. Once chicken is done cooking, remove from pan and add in some more EVOO and 1/3 of the garlic. 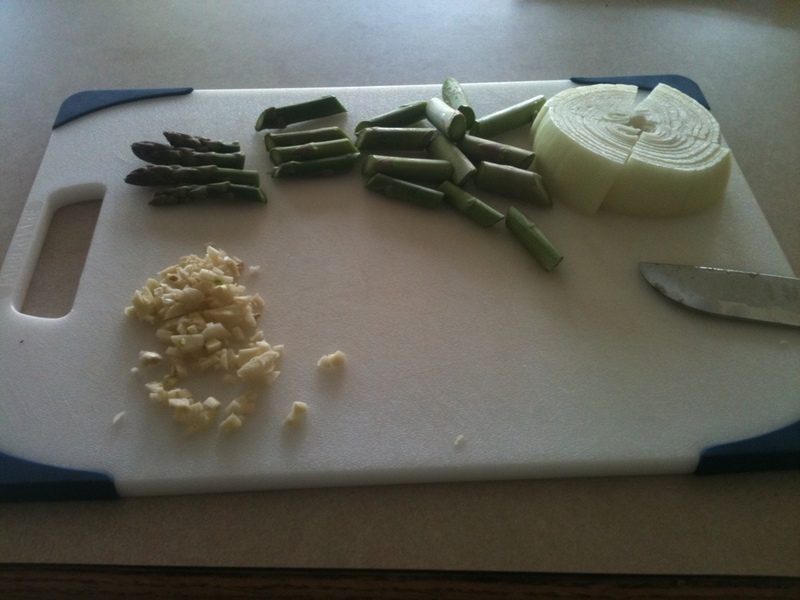 Saute the onion and asparagus, until onion becomes slightly tender. Add in the tomatoes and the rest of the garlic. Season with crushed red pepper and Italian seasoning. 5. 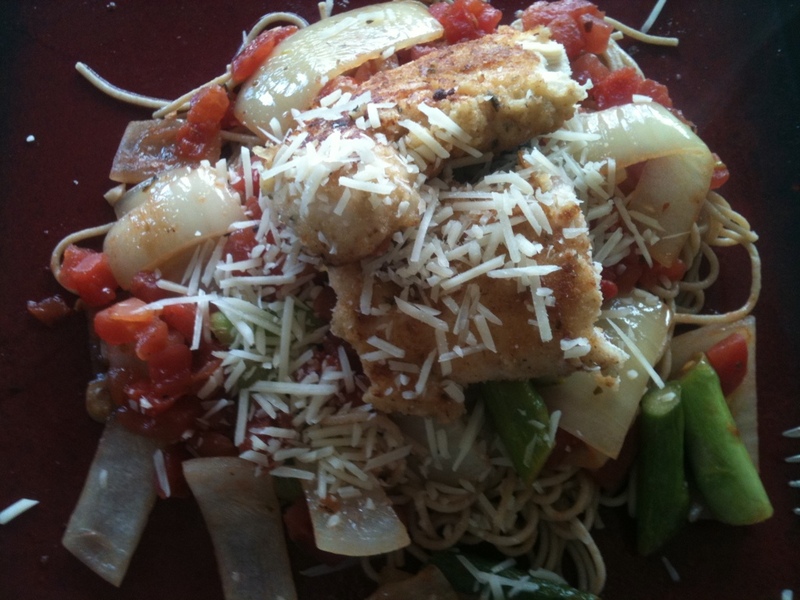 Serve the tomato sauce on top of noodles and the chicken pieces on top. 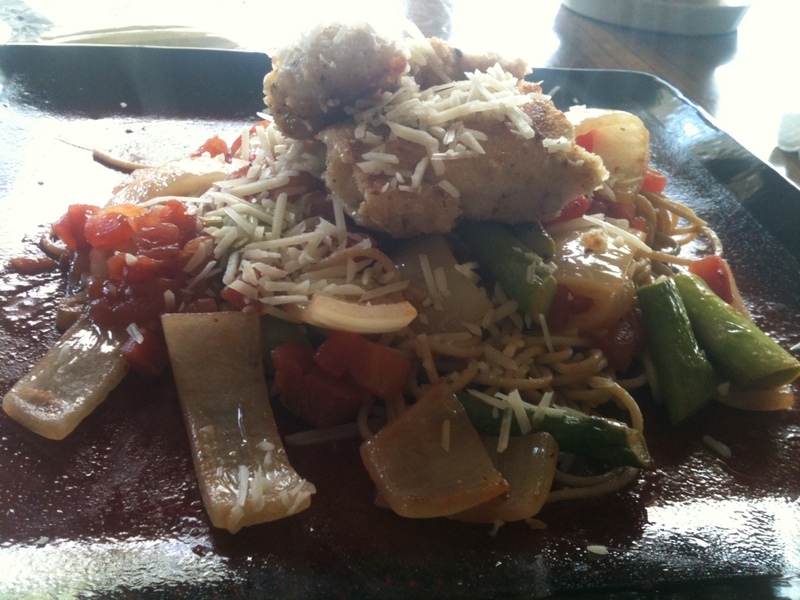 Serve with shredded permesan cheese on top.